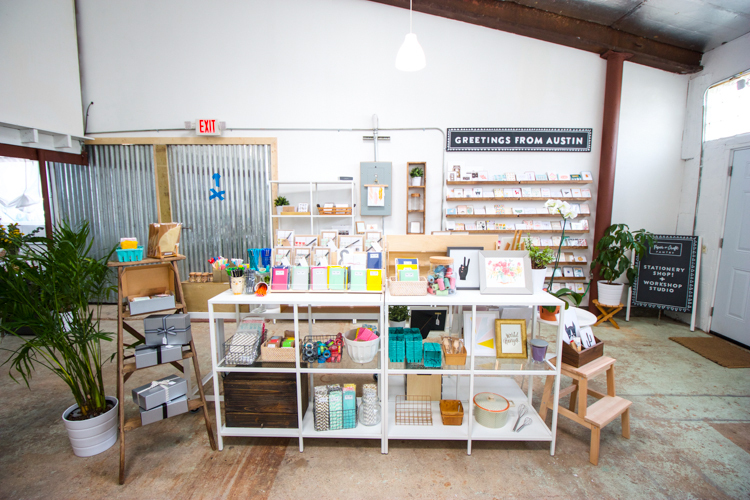 I’m back with another edition of Around Austin! 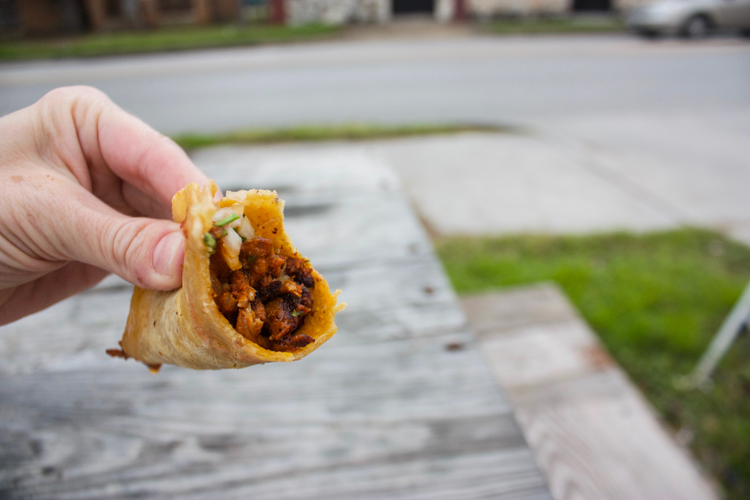 This time I’m sharing two of my very favorite places to visit when I’m down on the East side of downtown, The newly opened Paper + Craft Pantry, and my numero uno for street tacos, Las Trancas. 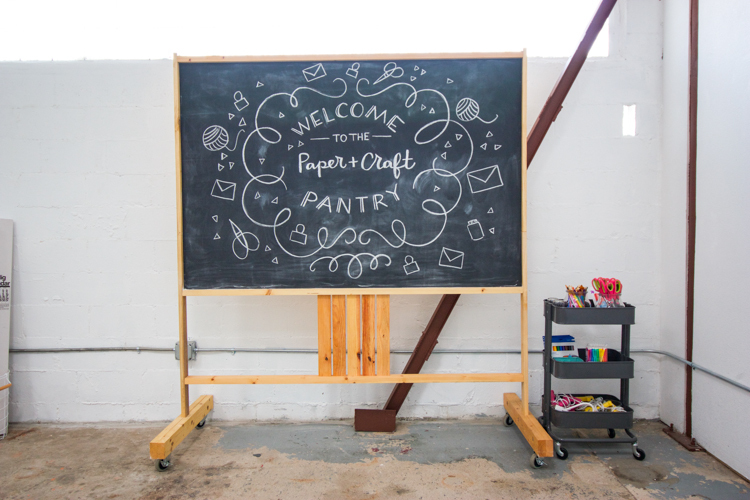 The Paper + Craft Pantry is a new, cool stationary and home goods shop with a side of crafty workshops taught by local makers. I learned about the space when it was still in the development stage and I met it’s owner, Pei. She is gracious and lovely, and a hardworking, no-nonsense girl boss who dreamed up this community gathering place and brought it to life. 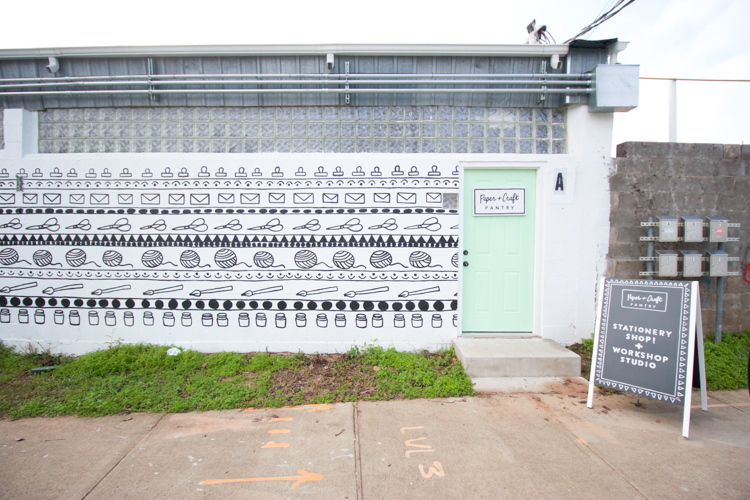 Located on East Sixth Street, it’s a stone’s throw from downtown in a strip of studio and creative spaces. 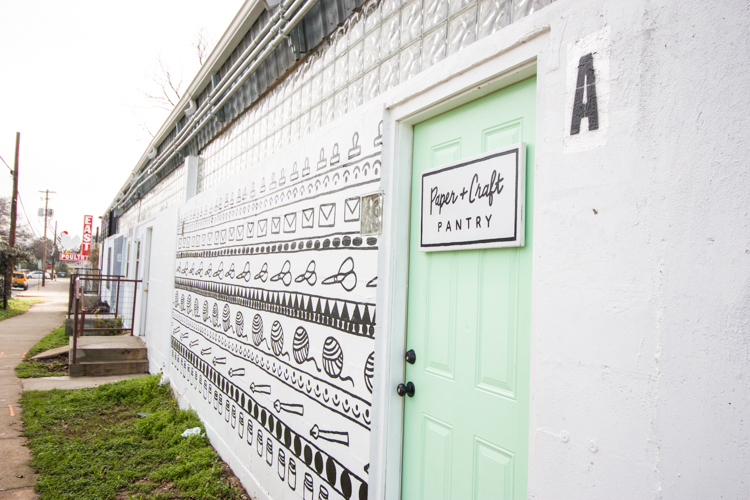 You can’t miss it–with the gorgeous mural and bright mint door (recently featured on Design Sponge storefronts!) 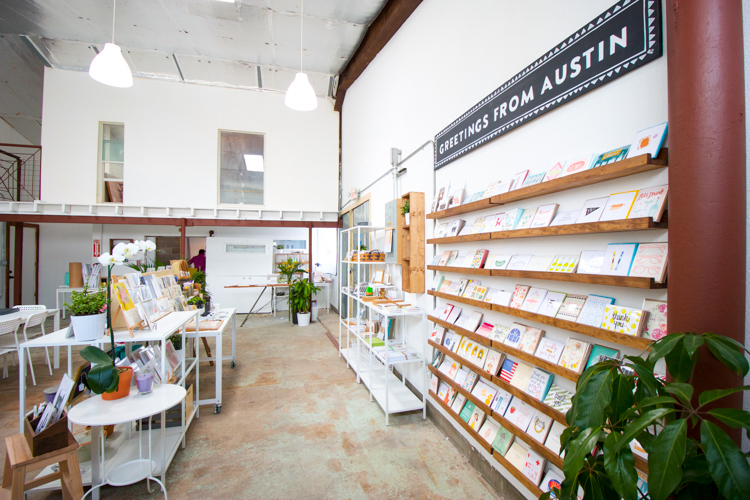 Stepping inside the space you’ll find high ceilings, bright white walls, and rows of carefully curated greeting cards welcoming you. 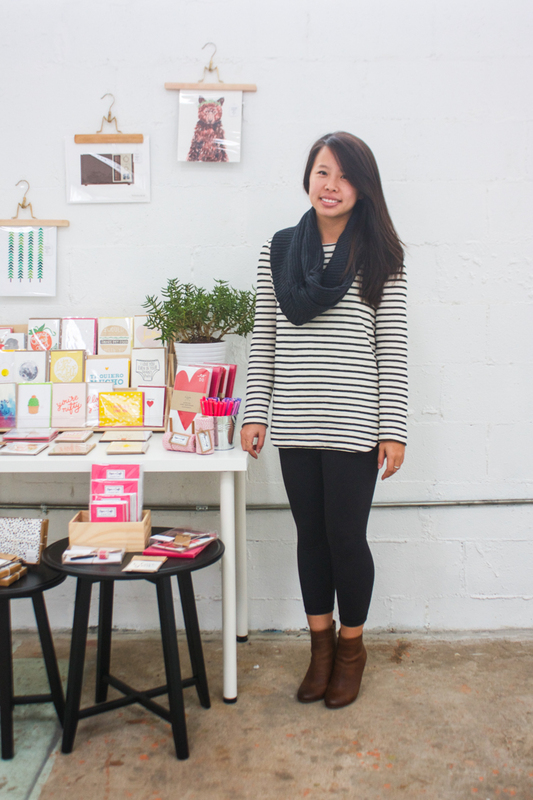 Pei mentioned to me that she has a goal of having an independent stationary shop from each one of the 50 states represented in her shop eventually. What a cool goal! 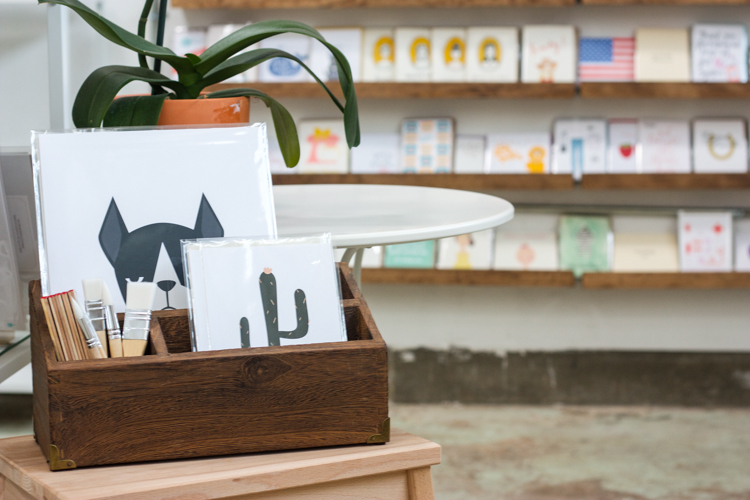 In addition to cards, she’s stocked prints, craft supplies like twine and pens, calendars, potted plants, and a new line of small home goods including clutches and jewelry. The Paper is only half of the mission of the store, though. 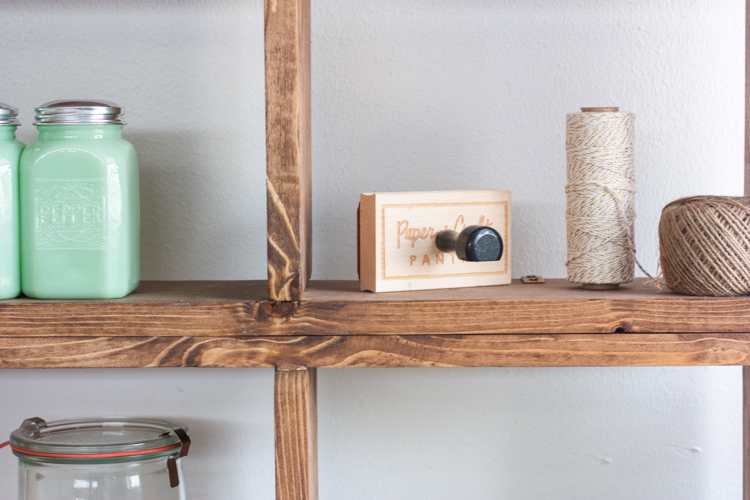 Crafting is the other piece she’s offering to the community through a series of thoughtful and interesting craft workshops, taught by local makers and shop owners. 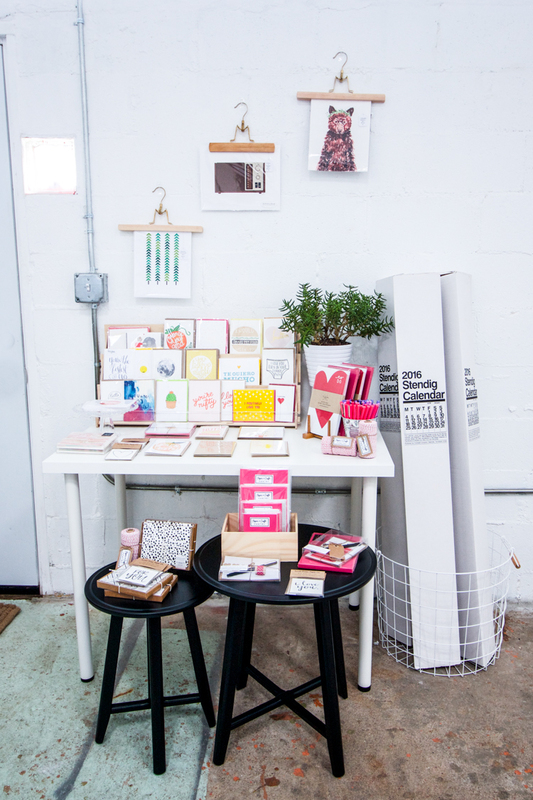 This space has also been the home of several community events like the Fine Goods Holiday Pop Up. 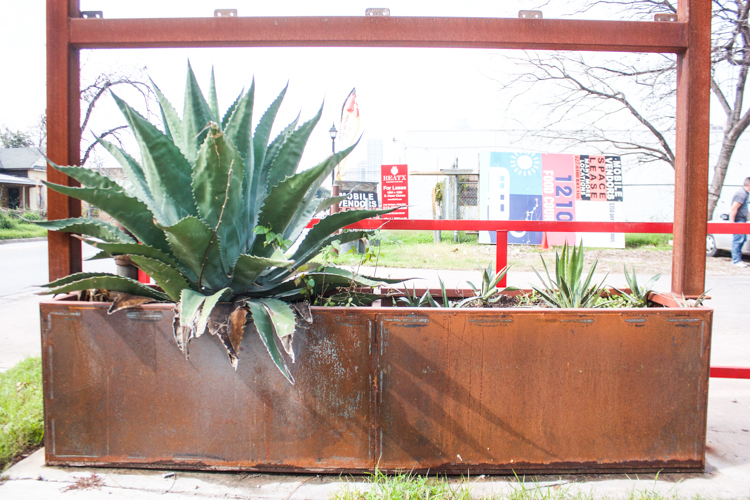 It’s a fun place to keep an eye on to find out about local fun. 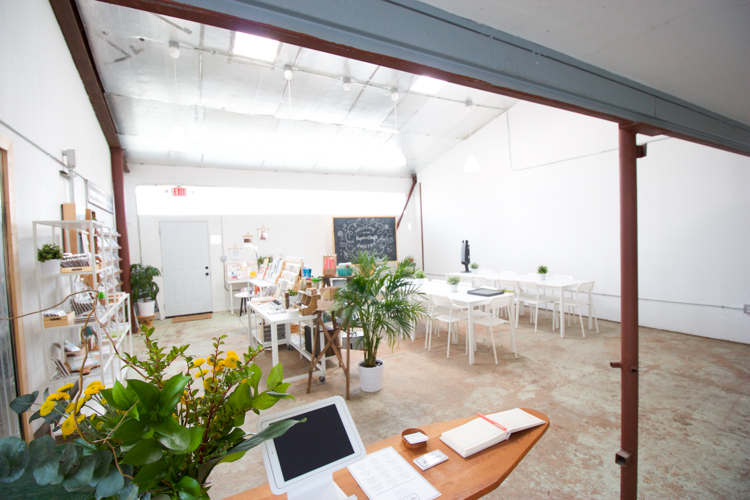 Like on Friday afternoons there are open co-working hours from 12-6pm! Basically, it’s the place to be, and I hope you get a chance to visit soon! When you do, say Hi to Pei and tell her I sent you. She’s darling. 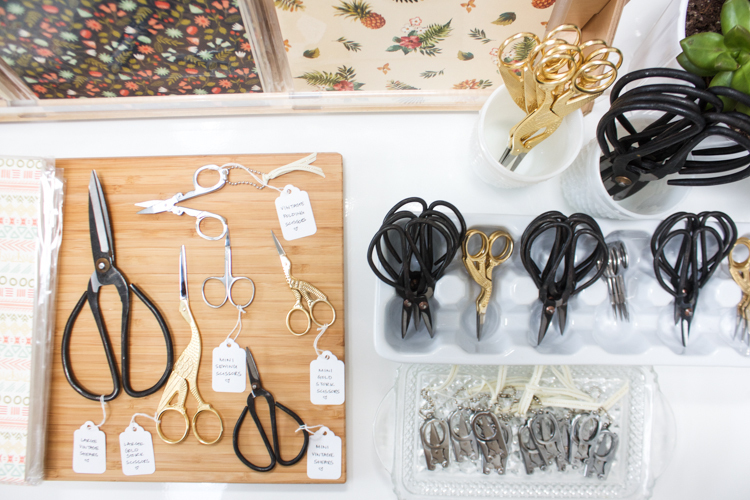 Also, don’t miss out on the rows of vintage-inspired scissors, which happen to be my favorite items in the shop. I’ve loved adding some of these beauties to my collection. 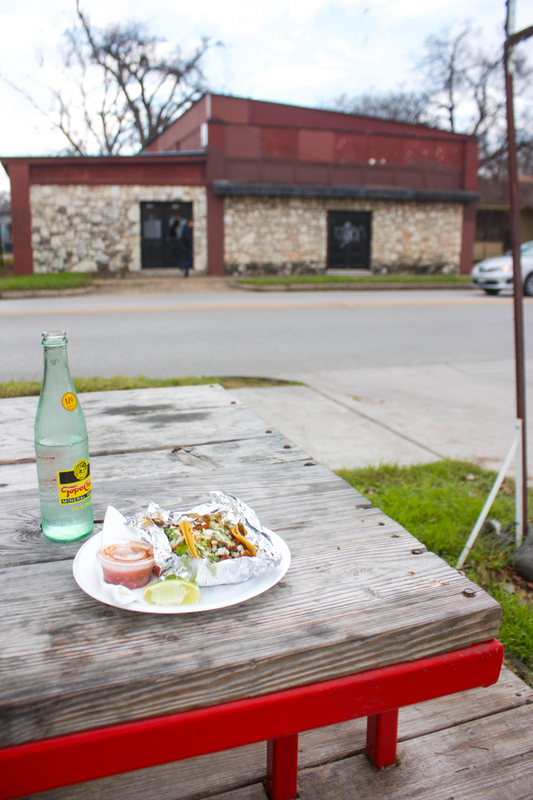 When you’re in the neighborhood, before or after your stop at The Paper + Craft Pantry, you’ll need to swing by Las Trancas to pick up a taco or two. It’s just a couple blocks away (a nice walk on a warm day!) 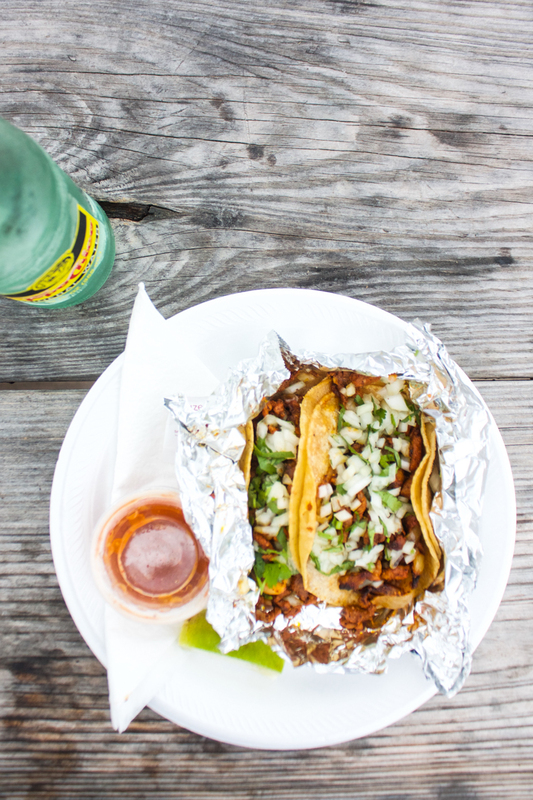 The tacos are $1.50 worth of pure, fresh, real Mexican goodness. 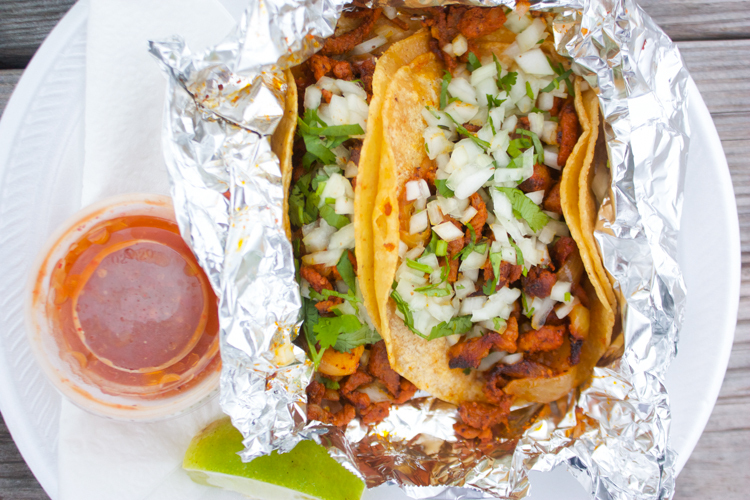 My very favorite is the Al Pastor (pineapple marinated pork) tacos on corn tortillas with onion and cilantro, then a squeeze of fresh lime. Gosh, it’s like stepping across the border for just a few minutes. I usually pair mine with a classic Texas Topo Chico, but there are all sorts of bottled beverages available. Sit out on the picnic tables and enjoy the day anytime between 11am and midnight daily. 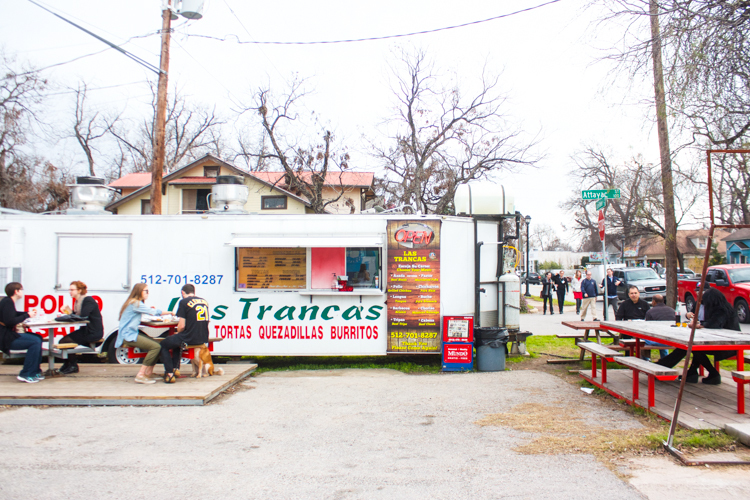 (We actually found Las Trancas on the way home from the airport one night when everywhere else was closed and we were craving tacos!) It’s an amazing little, low-key spot that I keep coming back to again and again. 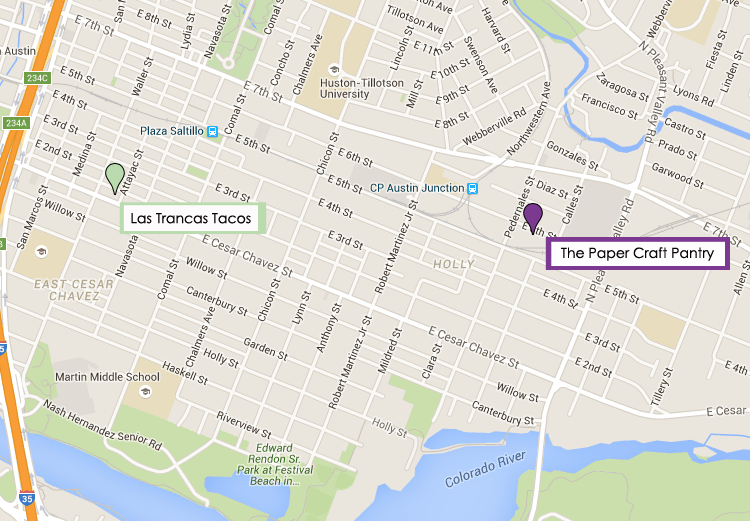 You have my highest recommendations for both The Paper + Craft Pantry, and for some Las Trancas tacos down the street. Let me know what you think when you’ve checked them out!